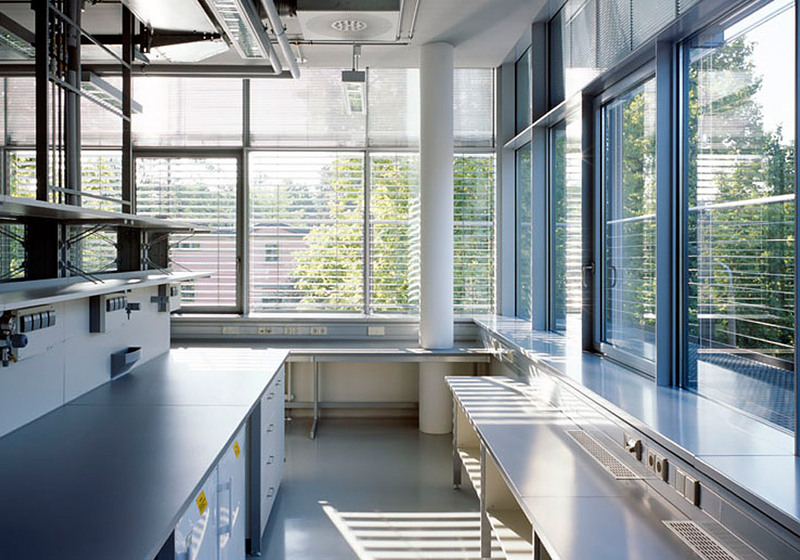 The Institute for Biochemistry was erected in a second stage of construction to the Max Bürger Research Center. 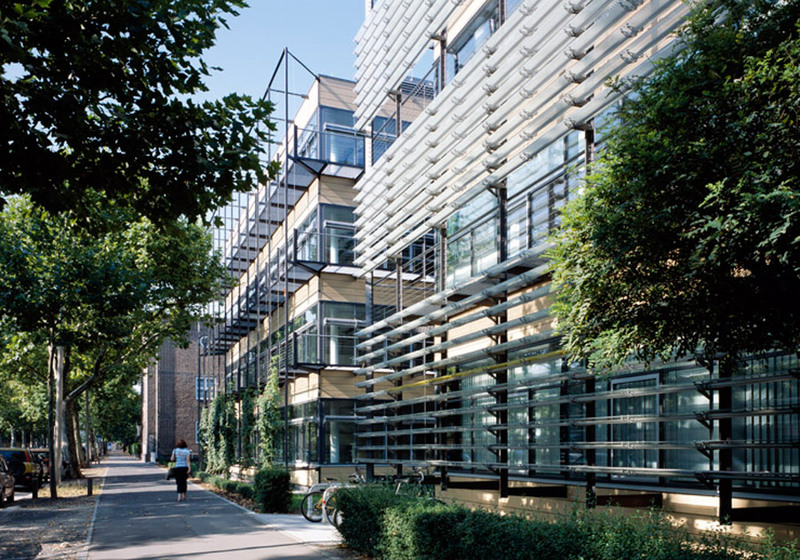 It houses the chairs of ‘General Biochemistry’ and ‘Molecular Biochemistry’. 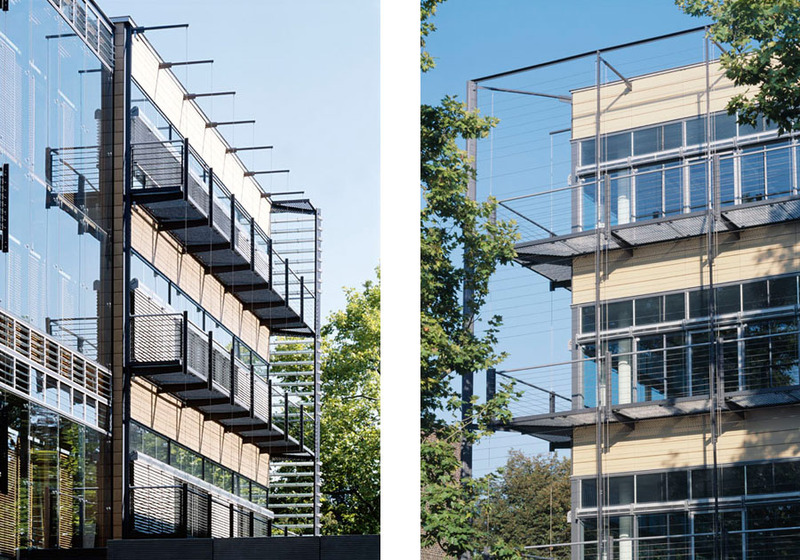 Like the Max Bürger Research Center, this compact structure retains the frontage lines and eaves heights of the existing buildings. The two institutes are connected to one another through a single-story connecting structure that also accommodates a library. The new four-story building comprises three separate spaces – two laboratory clusters and an office tract – arranged around a central hall. The clusters connect to one another through a surrounding, interior corridor. Each of the core zones contains shafts, adjoining rooms, and equipment rooms. 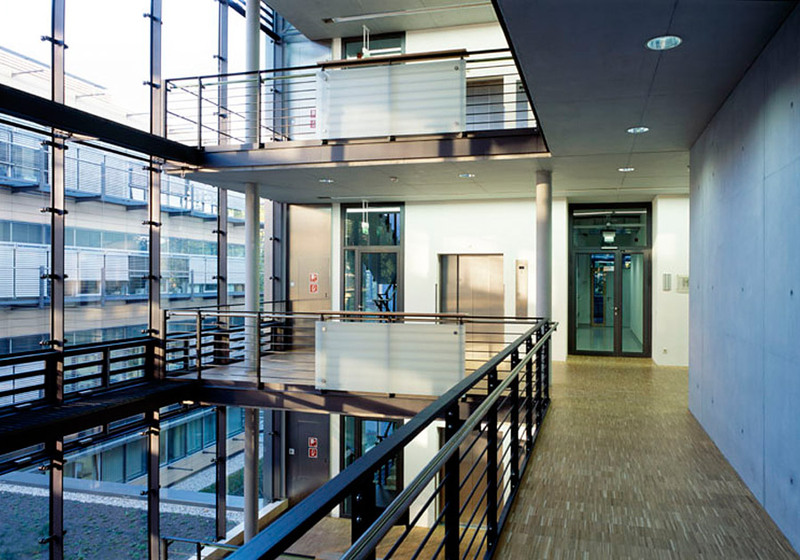 Along the exterior sides of the corridors are naturally illuminated work areas such as laboratories and offices, which can be combined to allow for different types of use and may also be adapted to future needs.